Classes/ Activites and Community Service Opportunities! 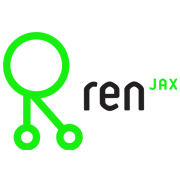 Renaissance Jax Inc. is a 501(c)3 non profit organization founded to create FIRST Robotics teams in every school in Duval County. Whether it’s by enrolling your child, volunteering to help mentor students, or through a simple donation, you’re helping to invest in Jacksonville’s future. The possibilities for our children are limitless. It’s up to us to make a brighter future a reality. As an official LEGO League Affiliate Partner for FIRST, we help Jacksonville-area kids and teenagers explore their love for engineering and technology in a fun, educational environment that promotes academic and career achievement. This year, Renaissance Jax will support over 4000 kids across 20 counties and 250 FIRST Lego League teams in their quest to design, build, and program robots for competition. We have introduced more than 750 students to the exciting world of competitive robotics through our Robot Bootcamp and other Summer programs alone. Our goal is to put robotics teams in every school in Northeast Florida, and with 75 new teams this year in Duval County alone, we’re well on our way. Students who participate in Renaissance Jax programs are substantially more likely to pursue degrees and careers in science and technology than other students. Regardless of what they choose to do, though, the scientific literacy, intellectual curiosity, and practical skills they learn with us will help them for the rest of their lives. We like to think of it as cognitive capital that will inform their decisions for years.